Double bassist, William Morris is one of a growing number of musicians who has successfully merged the two worlds of classical and jazz music. His extensive experience in both fields has led him from the Montreaux Jazz Festival in Switzerland to the stages of Carnegie Hall and around the world. Educated in both classical and jazz music at East Carolina University and Manhattan School of Music, Mr. Morris studied with Orin O’Brien (New York Philharmonic), Leonid Finkelshteyn (North Carolina Symphony), Winston Budrow (former principal bass, North Carolina Symphony), and Carroll V. Dashiell, Jr. (Maceo Parker, Ray Charles, Vanessa Rubin, Jennifer Holiday, Maurice Hines). He was a scholarship recipient at the Brevard Music Center, where he received the Outstanding Musician Award, and the Henry Mancini Institute in Los Angeles. While in New York, he performed as principal bass of the Chelsea Opera Orchestra and the Red Bull Artsehcro. While in attendance at Manhattan School of Music, Mr. Morris performed as principal bass of the Manhattan Chamber Sinfonia, which appeared at Merkin Hall and Trinity Church, under the direction of such conductors as Kurt Masur, the late Sergiu Commissiona, Phillipe Entremont, Lawrence Layton-Smith, and Joanne Falleta. He was solo bassist as a member of the Claremont Ensemble, a group committed to presenting masterpieces of twentieth and twenty-first century masterpieces. Additionally, he has appeared as a member of Manhattan School of Music’s Contemporary Ensemble, Tactus, at Merkin Hall and at the Bang-On-A-Can Marathon at the World Financial Center. Upon moving to New Orleans in 2006, Mr. Morris performed as member of the Louisiana Philharmonic Orchestra until 2009. Equally adept as jazz player, he immersed himself in the New Orleans jazz community, performing with such local jazz greats as Irvin Mayfield, Marlon Jordan, Ellis Marsalis, Branford Marsalis, Delfeayo Marsalis, Harry Connick, Jr., Edward Anderson, and vocalist Annais St. John. Mr. Morris has also performed with jazz greats Benny Green, the YellowJackets, Bob Mintzer, Terrell Stafford, Peter Erskine, Gonzalo Rubalcaba, Houston Person, and Luís Conte. 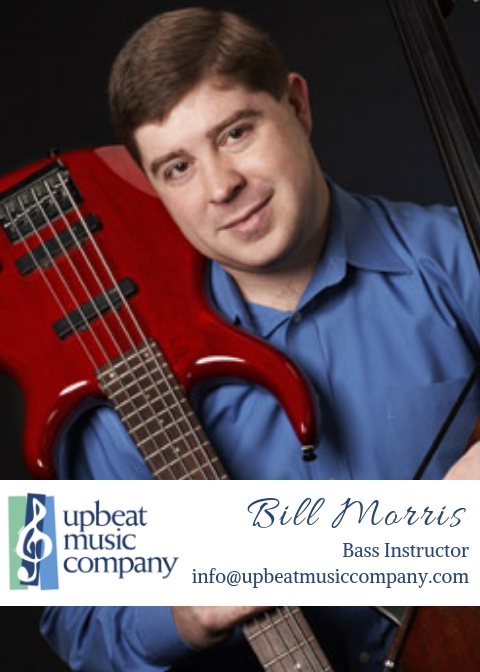 In addition to his performing commitments Mr. Morris taught double bass on the faculties of the University of New Orleans, Tulane University, the University of Alabama, and the New Orleans Center for Creative Arts. He can be heard on the movie soundtracks to Rocky Balboa, and August Rush, a movie he also appeared in.